Earlier this month, an advert went viral and, for once, it might have been for all the right reasons. The short film was originally made by Greenpeace and re-purposed for Iceland Foods. The cartoon shows an orangutan lost and out of place in a little girl’s room. 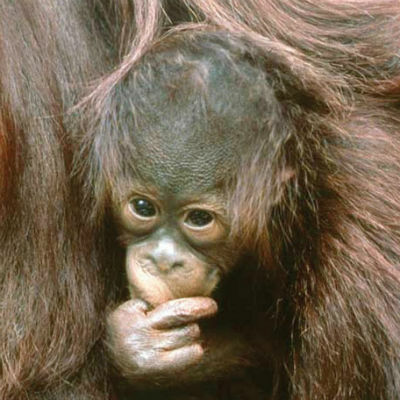 The orangutan takes her home where humans are deforesting the area for palm oil. With heartstrings sufficiently pulled, it would seem enough to rival Elton’s spot for the 2018 best Christmas commercial! Iceland has become the first major supermarket to remove palm oil from its own-brand products – a fantastic step and absolutely something to be applauded. Borneo’s current rate of deforestation is 1.3 million hectares a year, a completely unsustainable figure that, if continued, will push species such as the orangutan, clouded leopards and pygmy elephants in Borneo’s forests even closer to extinction. Yet the advert was banned by regulators because the campaign was deemed to ‘breach rules banning political advertising'. Clearcast, the body responsible for vetting ads and making this recommendation, drew a storm of abuse and threats. They received 3,500 emails and 3,000 tweets and even had to close their Facebook account within days of the decision. It’s not acceptable to make personal threats and it is a shame that this is grabbing the headlines rather than the message behind the film. Celebrities such as James Corden joined the fray and within four days the ad (published by Iceland on their YouTube channel) had reached 13 million people and continues to rise daily. Ironically, it will probably be the most widely shared and viewed advert of the year. Whether the regulators are right or wrong, the message behind the advert deeply affected people. The number of viewers who felt motivated and horrified by the issues it presented is heartening for conservation. Google reported last week that the public’s interest in conservation and climate change is rising. Since 2004 the number of search for conservation-based topics has risen, as has interest in climate change. Perhaps people are beginning to realise that this world and its species are finite and the time to act is now? For evidence of the benefits of the public speaking up in unison for our beliefs, of sharing an article on Twitter, or showing your colleagues a video of an orangutan cartoon, we need look no further than another of the most contentious and controversial wildlife issues of our time – the trade in tiger and rhino products. In October, the Chinese cabinet announced it would consider lifting its ban on tiger bone and rhino horn. Understandably, the world was outraged. Both species are critically endangered and feeding the demand in their products would be catastrophic for the populations. However, following public backlash, the government has since postponed the lifting of the ban. A critical decision if we are to give tigers and rhinos a realistic chance of survival. Recruiting this growing movement of would-be environmentalists is key to making the change we wish to see in the world. We must find a way to harness this interest and encourage momentum to protect our wild species and wild places before its too late.